SEO means Search Engine Optimization or Search Engine Optimizer. SEO is all the strategies, techniques and tactics used with words and phrases relevant to a site’s theme in order to make it rank high on organic (“natural” or unpaid) Search Engine Result Pages (SERP). SEO improves a site’s visibility and thus get many searchers clicking on it and consequently increase the amount of visitors viewing it. • Doing internet marketing by knowing how search algorithms work, and what searchers might be looking for. SEO copywriting is employing text-based techniques in optimizing sites for search engines. In this wise, words or phrases that target specific search terms are used in the content. But they are incorporated in such a way that the text reads naturally. In other words, copywriting is writing to satisfy both the search robot and the human visitor. The finality of such writing is to rank highly in the search engines for the targeted search terms. In addition to text, SEO copywriting usually optimizes other on-page elements for the targeted search terms. Things like title, description, keywords tags, headings, and alternative text. The logic of SEO copywriting is to create genuine content pages that please search engines. This is done instead of adding more pages often called “doorway pages” solely to help achieve high rankings. What can we put into SEO? 1. Quality of traffic:. Attracting visitors to your website who have a genuine interest in your products, services or content is key to SEO success. Let’s say you sell Apple computers but you used only the keyword apple in your ad campaign. What do you think people interested only in the fruit will do at your website when they come there? They will be angry only to realize that you deal in computers. Surely you’ll be missing opportunities because you don’t have the appropriate traffic. 2. Quantity of traffic: The right visitors to the right website is great but the more such traffic is driven to your website the better. 3. Organic results: Ads contribute a lot to generating better ranked SERPs. Any unpaid traffic that comes from SERPs is called organic traffic. SEO can assure you this. What are the 5 Essential techniques for achieving SEO success? Your SEO strategy can be achieved using technical, content/creative, tactical, social, and reporting means. 1. Technical: The ranking of a website by the search engines also depends on technical issues. This concerns the application of attributes to web pages on the back end. 2. Content/Creative: This is the most important SEO strategy for you to implement with articles, images, videos, info graphs or all of them together. 3. Tactical: This involves optimizing every page of your website for them to be found by the popular search engines. 4. Social: Social media, due to its interactive nature and the numbers of people present on them, is an excellent way to drive organic traffic to your website. 5. Reporting: This is the science of SEO enabling SEO managers to tell if a particular strategy is working or not. White hat SEO: white hat SEO is said to consist of the best practices that webmasters and web content producers follow. These help them achieve a better ranking in search engine results. Black hat SEO: black hat SEO is considered not to be of the good kind. They are tactics desgined to fool the search engines to rank a page or site. They are frowned upon by Google. However opinions differ about the nature of each type of SEO. I will be providing more detailed information soon on this as well as on other matters here. Meanwhile you may go to the resource section below for further details. What are the two ways of optimization? Search engine optimization can be divided into on-page SEO and off-page SEO. On-Page SEO: On-page optimization concerns elements which make up a web page. They include HTML code, quality content, and good keywords. Others are correct positioning of keywords, giving appropriate titles to every page, images, etc. Off-Page SEO: Off-page optimization makes use of link building (backlinks). It also seeks to increase link popularity by submitting open directories, search engines, link exchange, etc. What can SEO Services do for you? 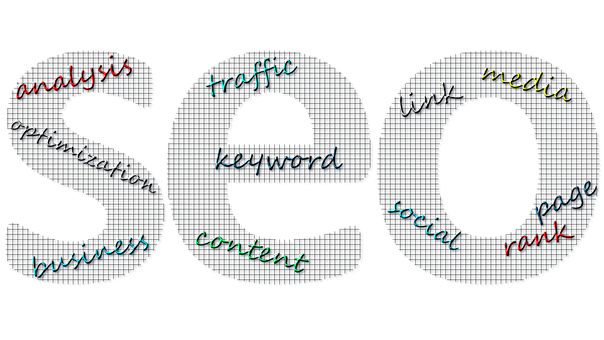 SEO services can help improve the organic search engine rankings of your website. Some of them are on-page optimization, and link building. Others are search engine friendly website design and development, and search engine friendly content writing services. SEO is for all those website owners looking to market offers on their website as it gives you free traffic. We can separate the working of an SEO into two parts. First the O part of SEO. Content creators have put up all sorts of content on their sites, both of which they have tweaked for search engines to find them easily. In which case we talk of optimization. Optimization can take many forms. Making sure the title tags and meta descriptions are both informative and of the right length are some of them. And making sure they are pointing to internal links at pages are others. Now the SE (search engine) part of SEO. Search engines have what we call spider crawlers. They go out and gather information about all the quality content they could find on the web. The crawlers then bring all this information back to the search engine to build an index. When you key your search term or keyword into the Google, Yahoo!, or Bing, etc. box, the index is fed through an algorithm that tries to match all that data with your query. And like magic, a long list of links to web pages that are answers to your question appears on your computer or another device’s screen by rank. What is a Search Engine Rank? When you perform a search on a search engine, it generally displays millions of results selected from its huge database. The display is by relevancy to the keyword entered. The page ranking is the position of a web page in the search results. If your web page for instance shows up at the first position, then your web page is ranked as number 1, which means that it is the page with the highest rank. In addition to the numerous search engines, the major ones are Google, Bing, and Yahoo. Google alone gets over 60% of search engine traffic (see link in the resource section below), so people often use search engine to mean Google. However YouTube is not only concerned with videos. It’s the number 2 search engine on the web. In search engine results, Google™ displays links to pages of sites it considers relevant and authoritative. One important consideration of a site’s authority is the number and quality of links from other websites pointing to it. What content does Google find useful? When people like your content, they share it on Facebook, Twitter, LinkedIn, and Google plus. They also share it on blogs, forums and many other places, building links back to your site. This makes Google™ interprets your website as useful. Why else would people be sharing it? And why shouldn’t Google™ label it so when all it seeks is to show only interesting and authoritative pages in its search results? It’s sort of people’s activities informing the Google robot that a certain content is good. And when somebody else is looking for a similar content, the robot serves it to them, as if it were telling them: “Many humans liked this and I think you will too”. And they do! Backlinks are the links pointing to your site (being optimized) from other relevant websites. Links are important but more important still is the quality of the links and not their number. Another important factor is that those links must be related to the content on your website. Having great content will massively increase your chances of securing natural links from quality relevant pages. Remember, great sites don’t link to mediocre content. Which 3 Simple Steps can make you get Better Search Results? How did Google’s changes affect the SEO field? With several major upgrades to its algorithm, Google dramatically changed the rules for SEO. So websites using dark tactics like backlinking magic, keyword stuffing, and various other wayward tactics to fool the poor robot in order to rank well got penalized. And they plunged off the placement ladder overnight. And since then keeping up with this SEO thing has become a serious affair indeed. There are a lot of factors that go into a search engine’s algorithm. See below for how a group of experts ranked their importance. What are the differences Between the Major Search Engines? Although search engines operate in the same basic way, there are minor differences between them. This leads to major changes in results relevancy. For different search engines different factors are important. For instance, Yahoo! and Bing favour on-page keyword factors while Google prioritizes links. Also, for Google the older a site is, the better. Yahoo! however generally has no expressed preference towards sites and domains with tradition (i.e. older ones). Thus, to rank on all the search engines, you must keep tweaking your site to satisfy their individual requirements! This is not the end of SEO on this website. I will be writing more about matters treated cursorily here and about others not handled at all. Meanwhile, if you want to add your voice to the discussion or suggest a facet of SEO you would like to know more about, just tell me in the comment box below or contact me on my Wealthy Affiliate Profile. I will be more than happy to serve you. • What is Organic SEO? • What is White Hat SEO? • What is Black Hat SEO? • What is SEO Services? • What is Search Engine Results Page (SERP)? • For Whom Is SEO Suitable? • What Can SEO Accomplish?